Stratis Athinaios was born in the island of Lesvos, Greece, in 1953. He had liberal studies in drawing, painting, engraving and History of Art. Since 1970 he systematically occupies himself with art. He lives and works in Piraeus. 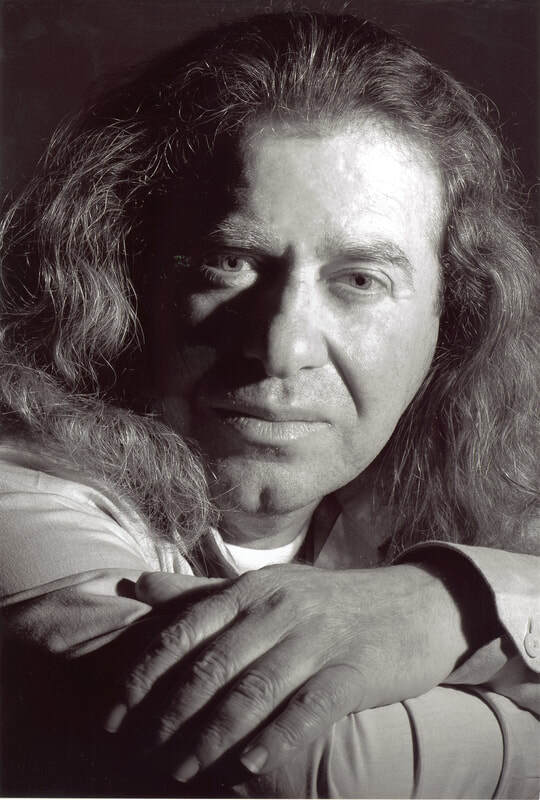 He is a member of the Greek Chamber of Artists. He has participated in numerous group exhibitions. Drawing for the painting above, charcoal and ink on cloth, 90 x 130 cm by Stratis Athineos. 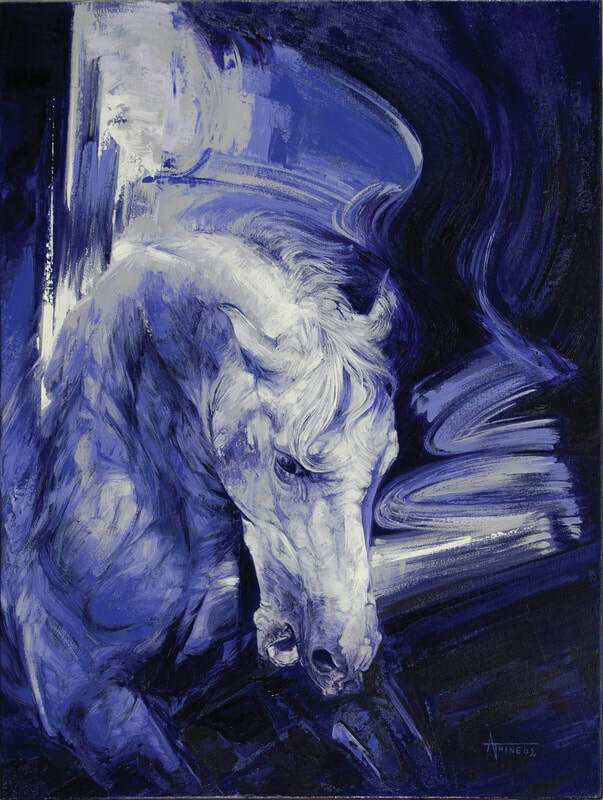 "Horse II", oil on canvas, 60 x 80 cm by Stratis Athineos. 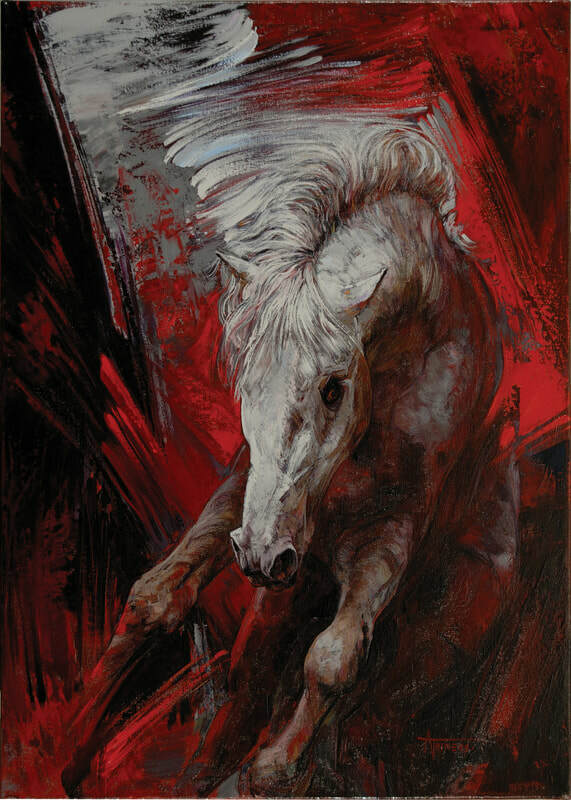 "Horse I", oil on canvas, 57 x 80 cm by Stratis Athineos. 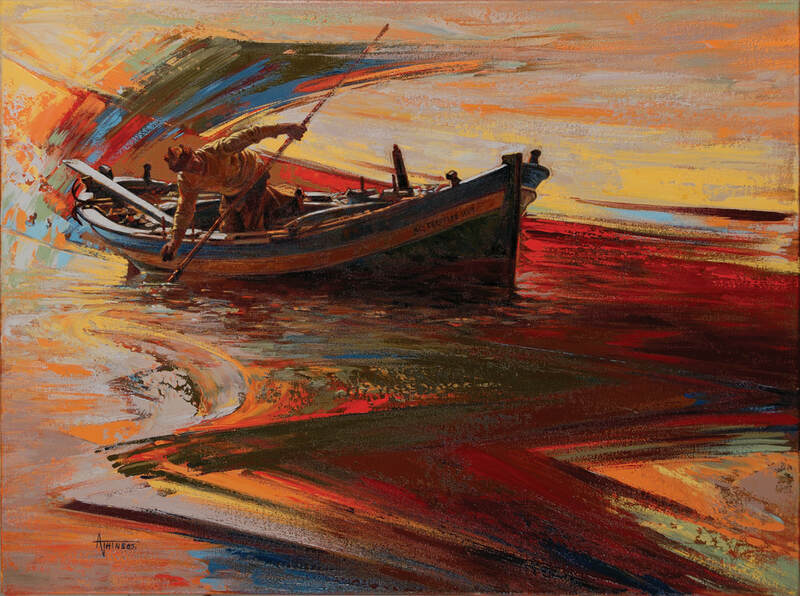 "Boat I", oil on canvas, 80 x 60 cm by Stratis Athineos. 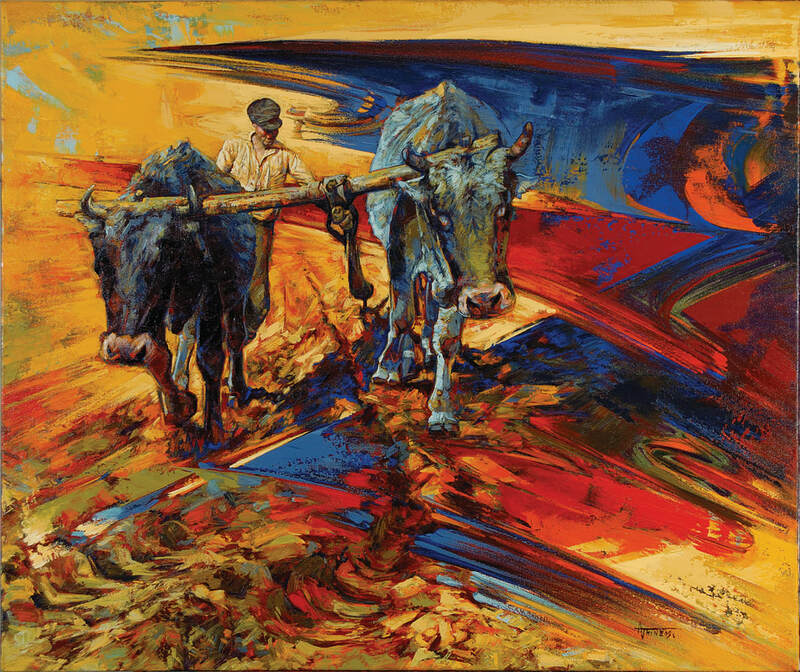 "The Plow", oil on canvas, 90 x 76 cm by Stratis Athineos. 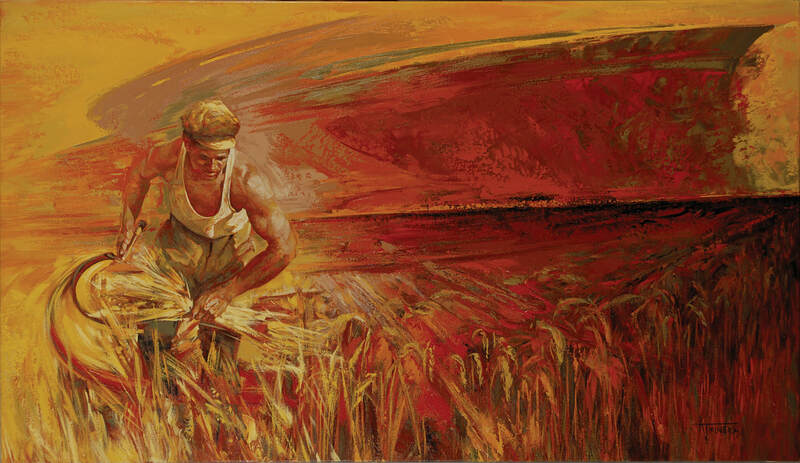 "The Harvester", oil on canvas, 130 x 75 cm by Stratis Athineos. 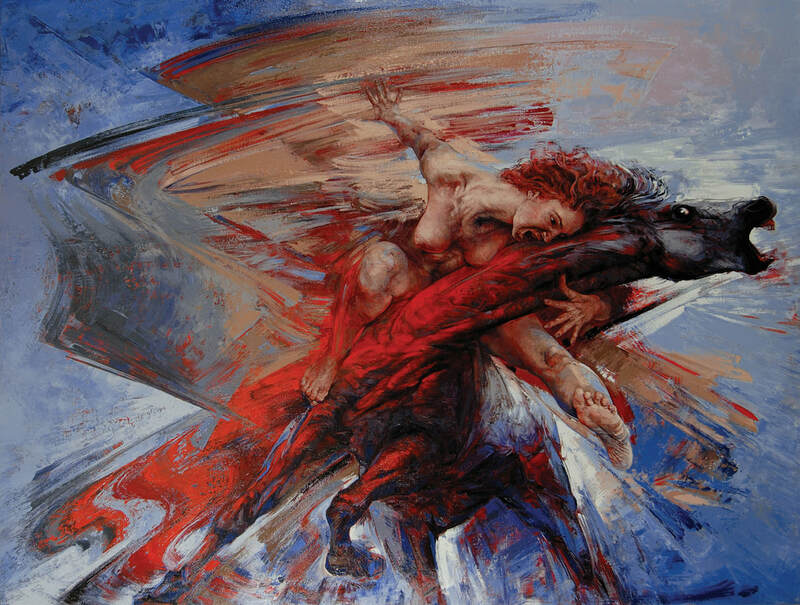 "Embrace", oil on canvas, 180 x 140 cm, by Stratis Athineos.